Dolly Parton comes across as a loving and generous woman, but she couldn’t believe her eyes when she found a baby on her doorstep. Some tales say children are delivered to parents as presents by storks, and it seemed as though one day Dolly Parton came home after a bird dropped off a baby to her front doorstep. It was totally unexpected and not something Parton had been anticipating – as if anyone can predict something like this. It isn’t every day you get to come home to a little bundle of joy that someone left at your door. If you are lucky enough to find a parcel on your doorstep, it’s probably been kicked around by the delivery driver and what’s inside is left broken into a million pieces. Thankfully the baby left of Dolly’s doorstep was in one piece, and it was very much alive and well. But what was she going to do with this seemingly abandoned child? Fans of country music will know exactly who Dolly Parton is, and many people who don’t will most likely still know of her. She is one for the most successful recording artists in her genre and one of the few who has become known across the world. Parton has established herself over several decades as a top singer, songwriter, actress, producer, pop culture icon, and comedian. Although her songs have impacted on millions of fans, one of her own songs was going to come back and present itself to her. Although she has had a music career spanning over five decades, she hasn’t been too busy to love. 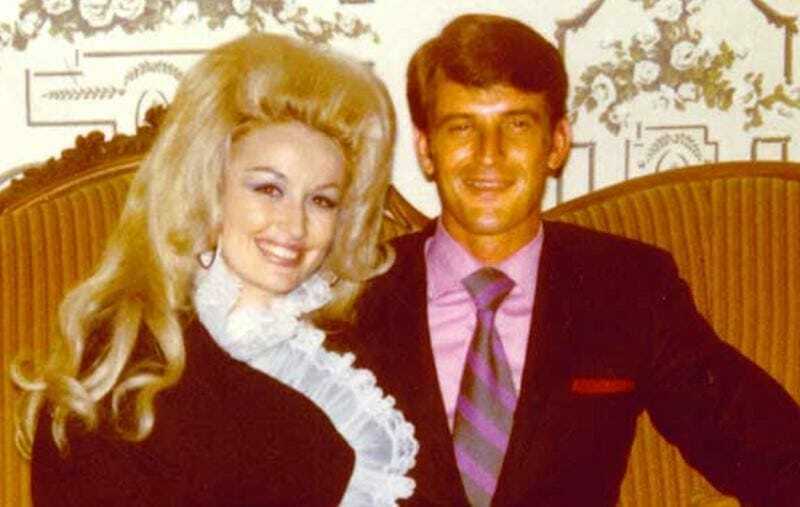 Dolly has been married to her husband Carl Dean since 1966, but the pair have chosen to keep their love life away from the spotlight. 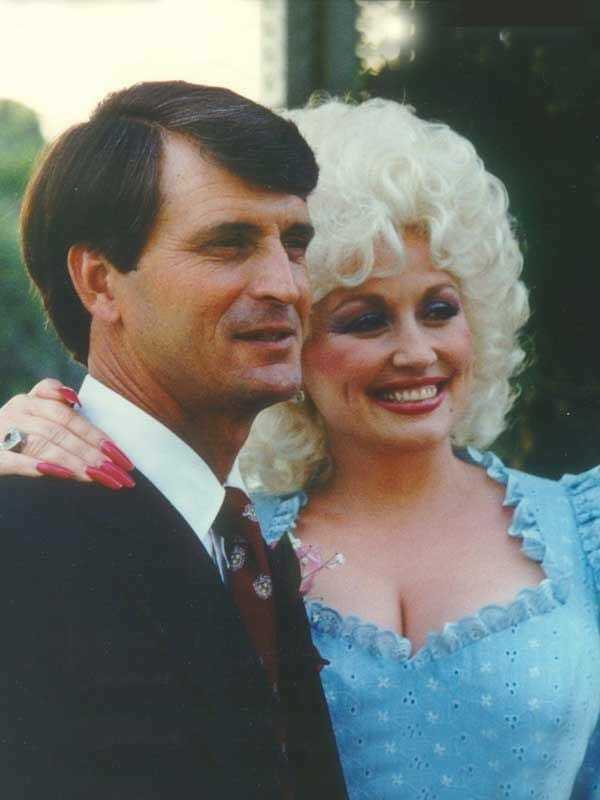 Unlike many Hollywood relationships, Dolly and Carl have managed to stay together through thick and thin. Even though they have kept their personal lives to themselves, there is one thing the world does know, they haven’t had any children together. Despite never having children of her own, that doesn’t mean Dolly hasn’t had to look after a kid before. At one stage of her life Dolly had to find the time to look after a young baby, a story she often keeps close to her chest. A baby was left on her porch one day, but there seemed to be little to no explanation as to why. Not only are there questions about how the baby got there, but there is also the question of what Dolly did when she found it. It’s hard to imagine a world without Dolly Parton, but she wasn’t born famous. 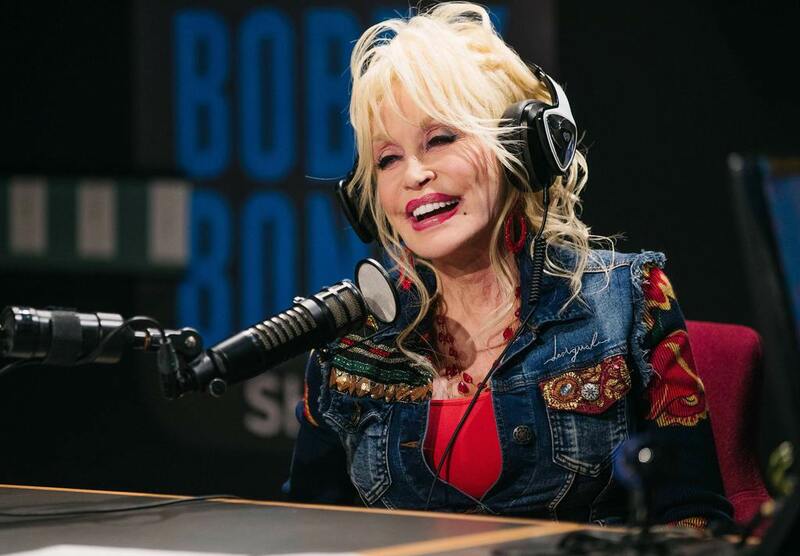 Dolly is now synonymous with country music and might have more than enough money to not have to worry about finances, but she came from humble beginnings. 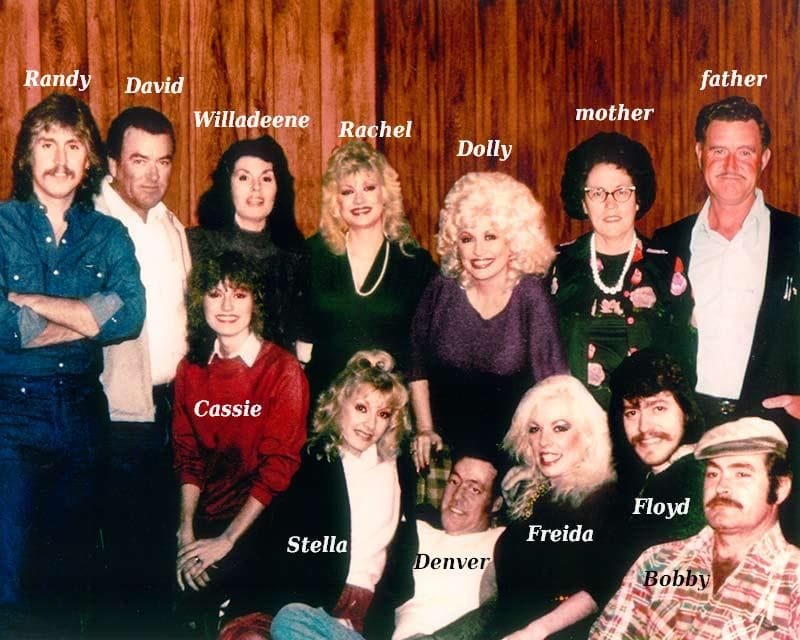 Born into a large family, Dolly had little money to her name and slept in the same room as her ten other siblings. Raised in a house at the side of a river in Tennessee, Dolly and her family would often have to wash themselves in that very river. While growing up, Dolly spent much of her time helping her mother raise her siblings. Her father wasn’t an educated man, and she would often wait for him to come home from working up in the mountains. She didn’t have much to show for her life, but that didn’t stop Dolly from dreaming big. Discovering a love of singing, Dolly would perform in her local church and always had the hope that someday she would become a huge star. Once she began singing, people were sitting up and taking notice of her talent. It wasn’t long until she began performing on television shows and for local radio stations. Her popularity was on the rise, and while she pursued her dreams her uncle tried his best to help her on her way. Dolly’s uncle even rented a music studio to allow his niece to record her first ever single. Soon, Dolly’s talent would bring in enough money to help her family in a life-changing way. Dolly might have known she was good, but that didn’t stop her from getting ahead of herself. Not willing to risk her future pursuing a career in singing just yet, Dolly remained at school, determined to graduate. Dolly wanted to enter the world with a real education behind her and made sure she stayed at school. It must have been hard to ignore the pull of stardom, but Dolly stuck to her initiative and got her education before fully committing to music. 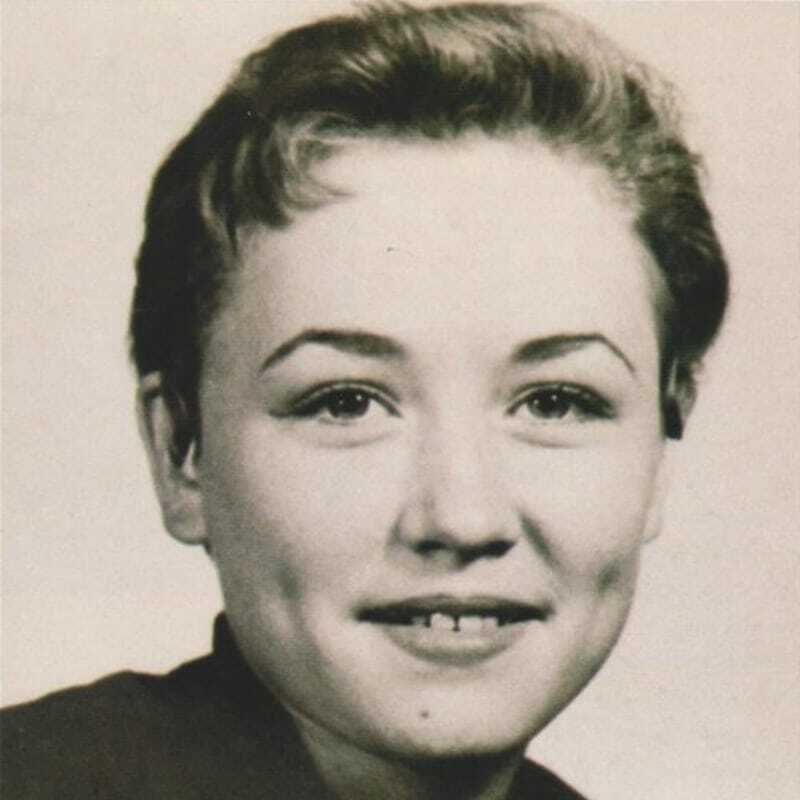 While at school, Dolly performed when she could, and by the time she graduated she was hungry for success. She knew she would have to move if she was going to make it, so she packed her bags and headed for Nashville – the home of country music. Dolly gathered what little money she had saved up and took the plunge, relocating to Nashville and leaving her family behind. When she got to Nashville, it wouldn’t be long before her singing talent, and songwriting skills led to her first ever recording contract. The move to Nashville would prove to be a successful one for Dolly, and looking back she must be thankful for the opportunity she found there. Looking back on her career, she has achieved more than many people can even dream off. 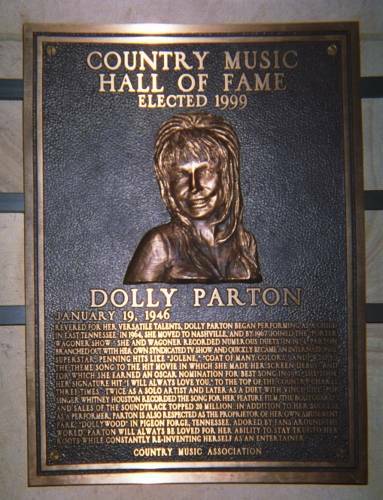 A few years after her 50th birthday Dolly Parton was inducted into the Country Music Hall of Fame in 1999. Her tireless efforts and contributions to country music had seen her be recognized by her peers as one of the best country stars to ever perform. Apart from the Country Music Hall of Fame, there have been plenty of others willing to appreciate Dolly Parton’s talent. Her career has brought her many accolades and probably a room full of awards. Dolly must be running out of room in her house to put all of her amazing awards, which include nine Grammys and three American Music Awards. She has been named Country Music Association’s Entertainer of the Year and has recorded over 3,000 songs. 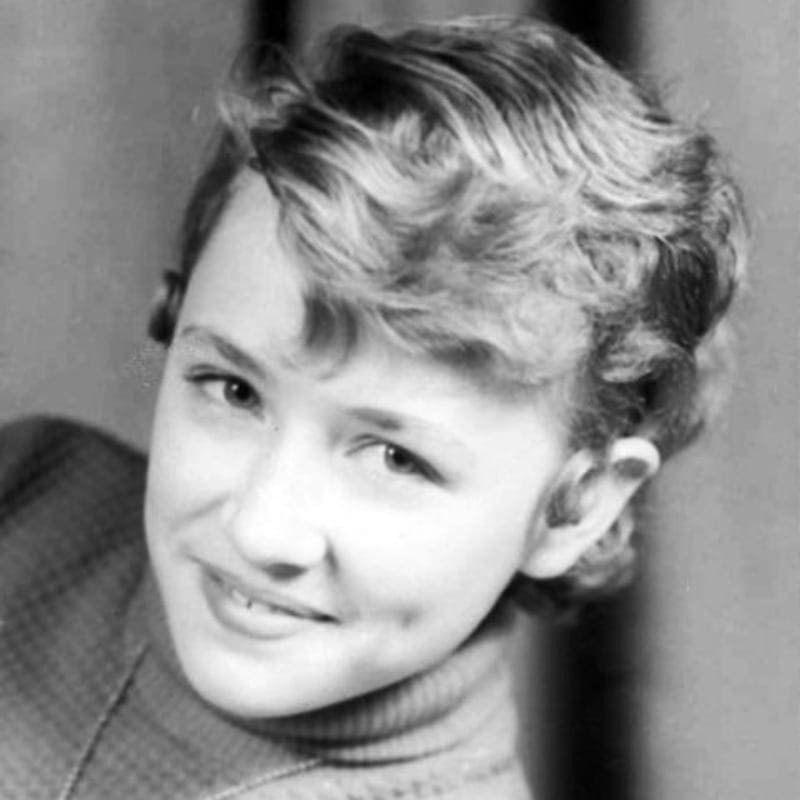 It was clear from the early days in her carer that Dolly was an incredibly talented woman. She had stormed to the top of the charts thanks to her iconic voice and songwriting skills, but soon she was branching out. Dolly had an infectious personality, and people wanted to see more of her, so time on the set of Hollywood’s movies beckoned. 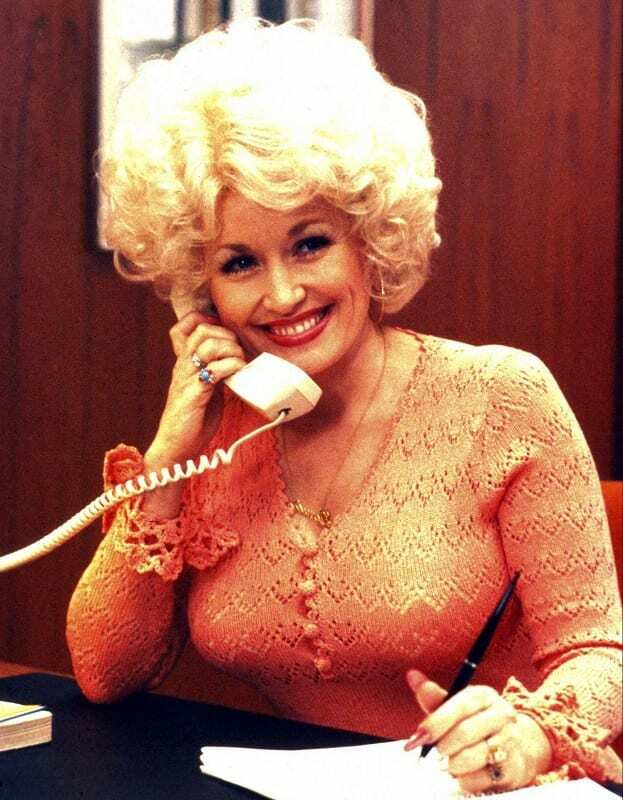 Some of the films Dolly has appeared in include Joyful Noise, Steel Magnolias, and Nine to Five. Throughout Dolly’s incredibly busy life, she and her husband have stuck together. Dolly has been surrounded by some of the most famous faces on the planet and each step of the way she has been accompanied by her husband Carl. Despite working with some of the most famous men in Hollywood, she has never been tempted to date any of them as she already has the man of her dreams waiting for her at home. 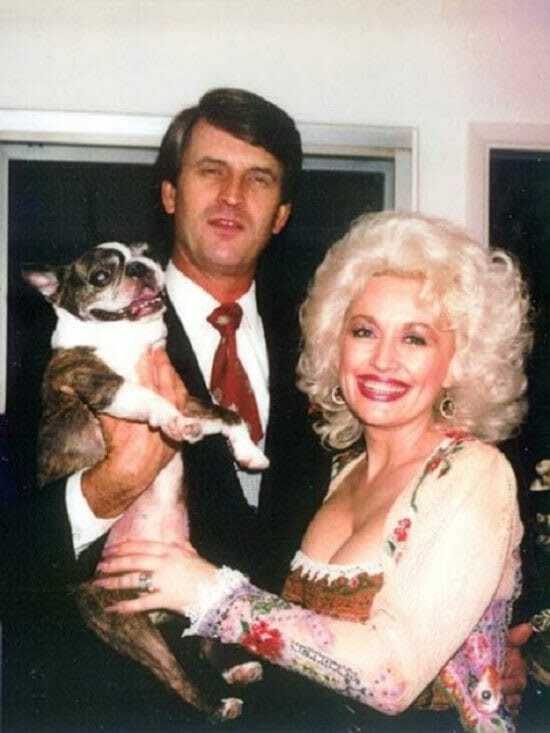 Carl met Dolly when she first moved to Nashville, and the pair have been inseparable since. She might have only been 20 years old when they met, but Doly knew she wanted to spend the rest of her life with Carl. 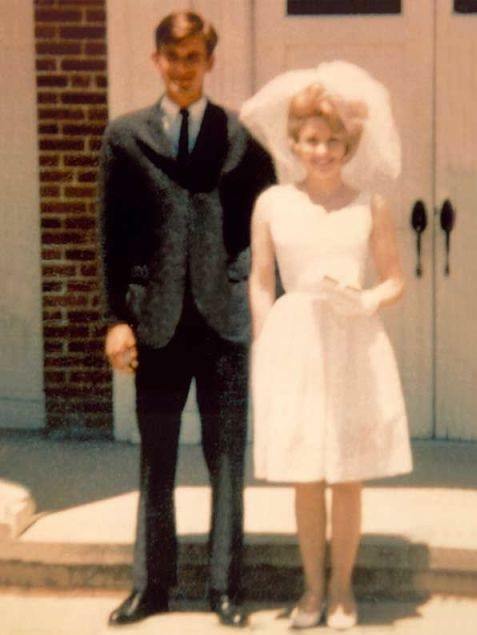 When he proposed, she knew she couldn’t say no, and the happy couple were married in 1966. While Dolly has lived much of her life in the glare of the spotlight, Carl prefers to keep away. He won’t often accompany her on the red carpet, instead preferring to allow his wife to do her thing while he looks on from the sidelines. 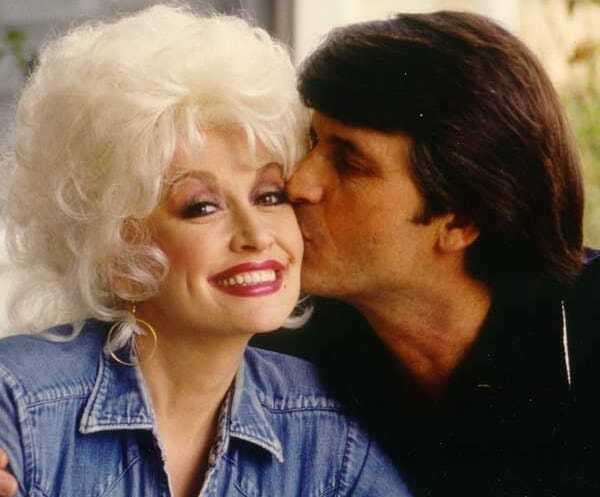 Some fans might feel as though Carl isn’t showing an interest in his wife’s work, but Dolly believes it’s his attitude that has helped them stay together. 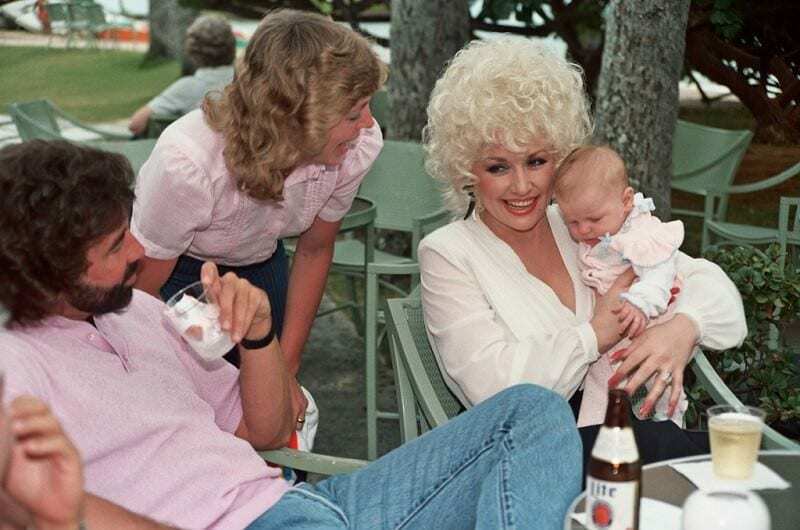 While he might not be there in the public eye, he has always been supportive of Dolly and her accomplishments. Carl pushes Dolly to chase her dreams and to be the best she possibly can. She might have to attend red carpet events solo, but the pair believe that works for them, and after 50 years of marriage they are clearly doing something right. While they might seem to have the perfect recipe for marriage, there is one ingredient the couple appears to be missing. The two have never had any children, and instead, it has just been the two of them throughout their marriage. Dolly was asked about kids, and she said that children just didn’t seem to be on the cards for her and Carl. They believe they love each other more than enough and didn’t see the need to have a child to make them closer. Dolly still dominates the country music scene to this day, but she hasn’t been the only singer trying to dominate the charts. Thanks to a little helping hand from her famous father, and her own show on the Disney Channel, Miley Cyrus tried to break into the country music scene. She was incredibly successful and made it into the charts with her own music, and there is even a link between Miley and Dolly. 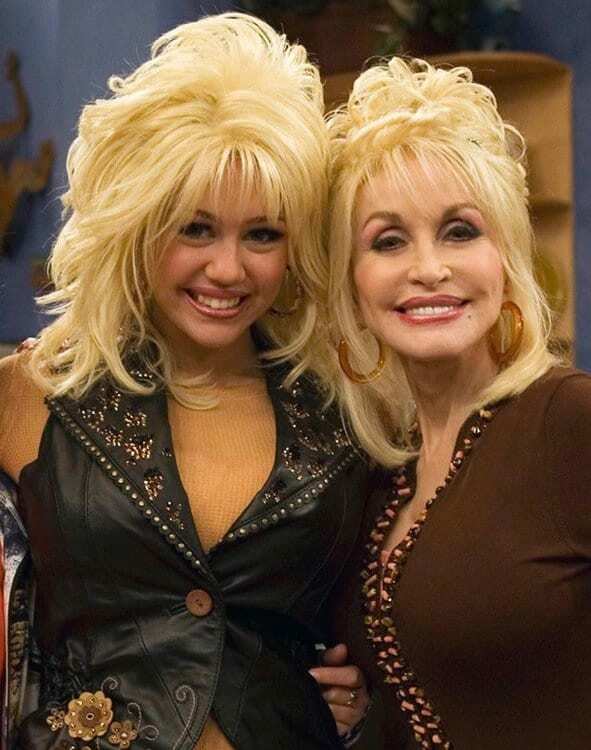 Miley Cyrus is actually the goddaughter of Dolly Parton, proving that the talent runs in the family. She might not have any children of her own, but that doesn’t mean Dolly doesn’t like kids. 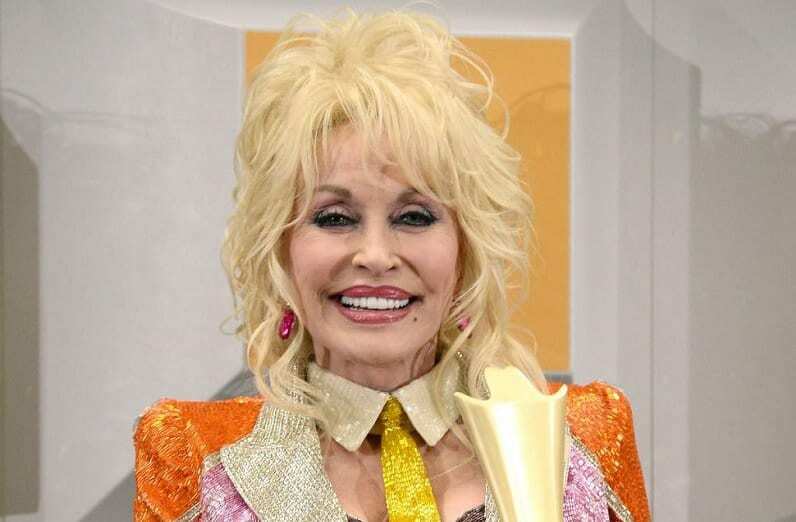 Dolly Parton has spent plenty of time looking after children over her lifetime. With 10 siblings, it is no surprise that Dolly has plenty of nieces and nephews to look after from time to time. As well as family, Dolly has looked after the children of her bandmates and has even written an album aimed solely at children. The money she makes from that album is donated to her children’s charity. 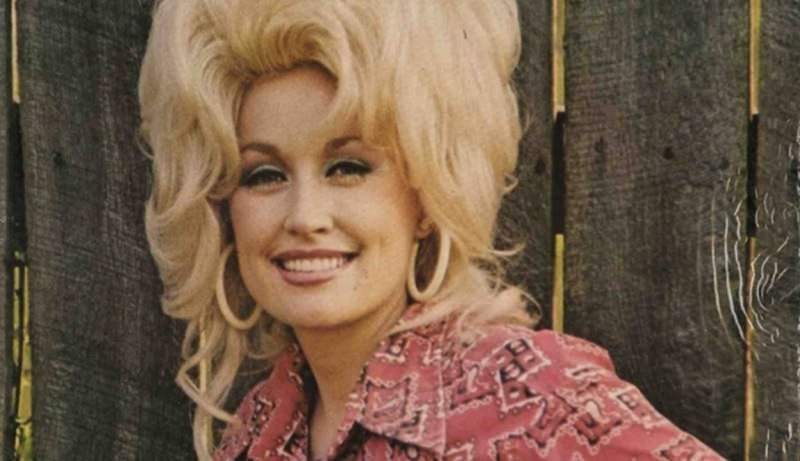 Being one of the biggest country music stars in the world might seem like enough for Dolly, but she didn’t stop there. Wanting everyone to experience what the thrill being one of the biggest stars in the world feels like, Dolly created her own theme park. 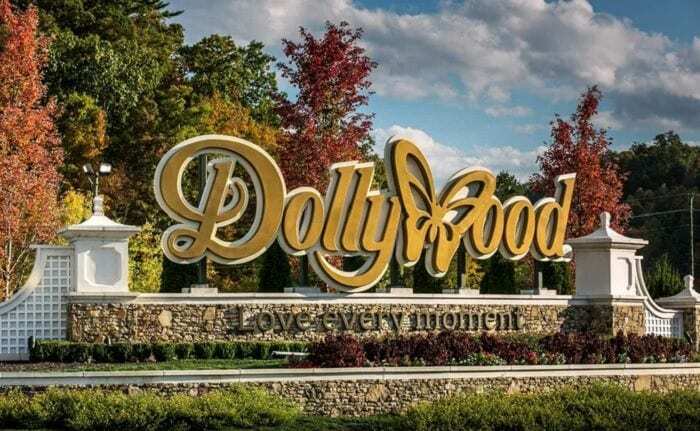 Dollywood was established in 1986 in Tennessee, to give children somewhere safe to play, and the theme park welcomes over 3 million visitors a year. There is also a nearby water park opened by Dolly to provide her fans with even more opportunities for fun. It’s not just the recent theme park success that brought Dolly closer to children. During the ‘70s, Dolly came home one day to find a baby on her doorstep. In the 1970s, Dolly was already one of the biggest names in music, and her personality was taking over the world. People would recognize her by her hairstyle alone, and her musical talent had really made an impression on people. 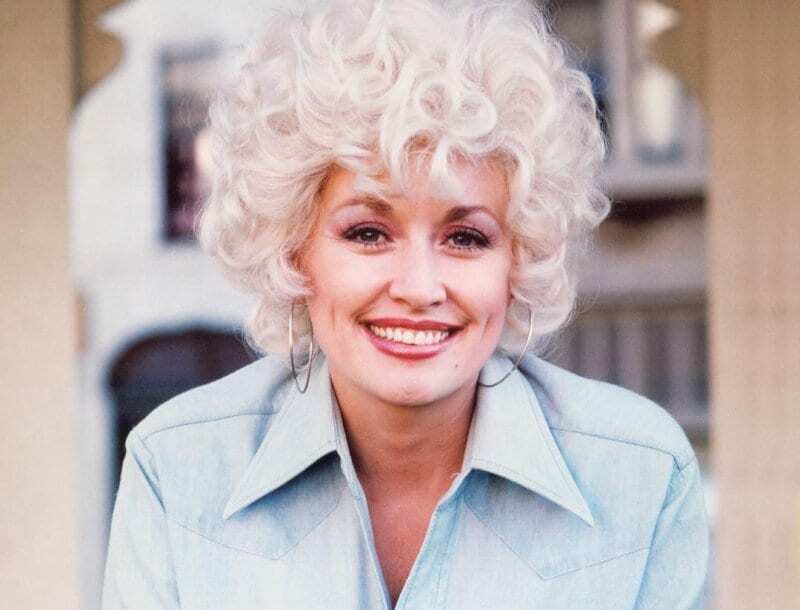 Dolly was relatable to many people and following the release of her hit song “Jolene” she was at the peak of her fame. 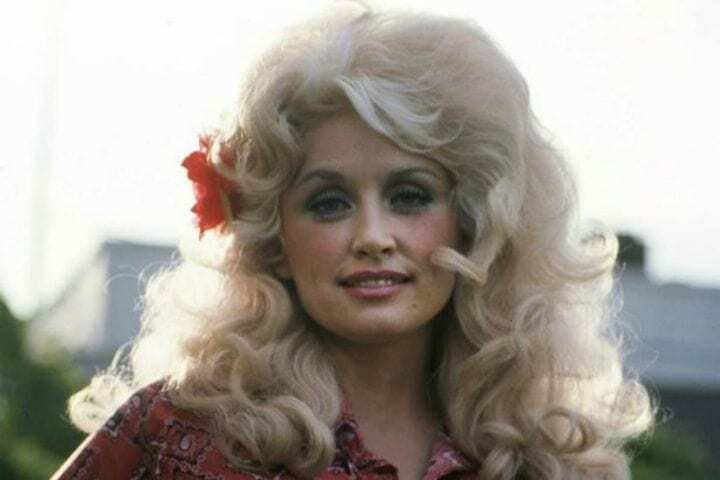 If people were asked to name a Dolly Parton song, they would most likely think of “Jolene” pretty quickly. Dolly wrote and performed the song in 1973, and it became an overnight success. The song soon rose through the charts and Jolene was nominated for two Grammy awards. The song was making an impression on all who heard it and it is a song that is still popular today, despite being over 40 years old. 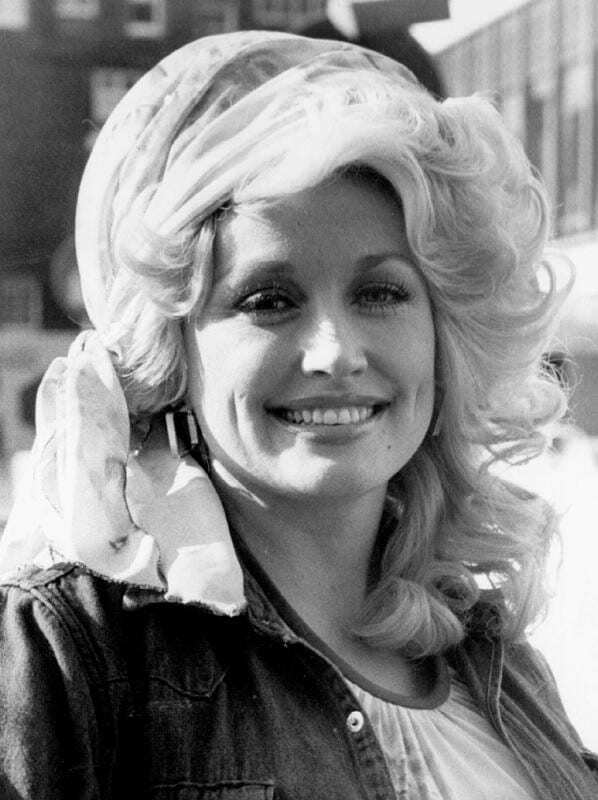 Jolene had raised Dolly’s popularity to new heights, and she was truly becoming a global superstar thanks to the success of the hit. Several months after Dolly released the song, she and Carl came home one day to find some kind of parcel sitting on her doorstep. The closer they got to the bundle the more it came into focus. At first it just looked like a box, but when they were close enough to look inside, they were amazed to see a baby lying in it. It wasn’t just a baby inside the box on her doorstep, there was a note to go with it. Dolly and Carl were amazed to see this baby and they started looking around to see if this was some kind of joke. When looking at the baby they noticed there was a note attached. The note said that the baby was called Jolene and she had been left by her “momma” who wanted her to live with Dolly. Even though Dolly loves children, she didn’t really know what to do with this child left on her property. With no idea who the mother was, and no way to contact her, Dolly didn’t contemplate keeping the child. Although she loves kids, she didn’t feel it would be fair to the child to welcome her to her home as Dolly didn’t really have the time to look after her. Instead of keeping Jolene, Dolly rang the authorities to come and take the child into care. While waiting for the Department of Health and Human Services to send someone to take the child away, Dolly took the child into her home. It would take some time for the authorities to arrive, so Dolly began looking after Jolene to make sure she felt comfortable. Dolly picked her up, spoke to her, and took as much care of the little girl as possible. The baby was eventually taken from Dolly and to this day she has no idea what happened to little Jolene. Although it happened many years ago, Dolly hasn’t forgotten the incident. Little Jolene would now be all grown up and around 45 years old. Dolly has remarked that she still thinks about that day from time to time, wondering what Jolene is up to now and if she is happy. Of course, she wonders if the child named in tribute to one of her biggest ever songs likes her music too. 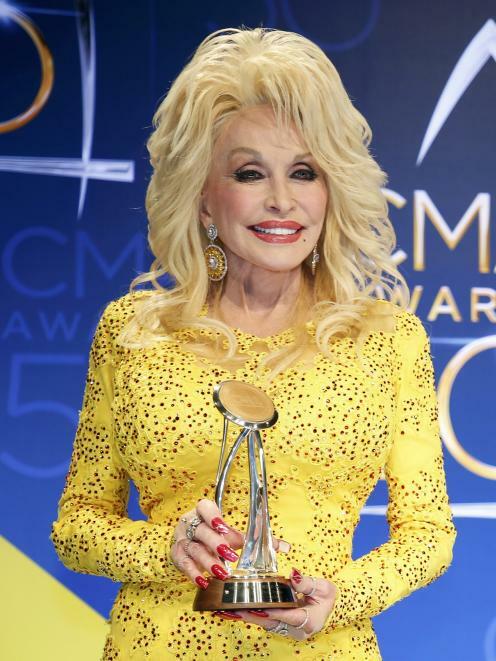 If she is still called Jolene, then she is most likely very aware of Dolly massive hit. Dolly Parton wasn’t the first person to come home to find a baby dumped on their doorstep, and on some occasions the babies are welcomed as new members of the family. 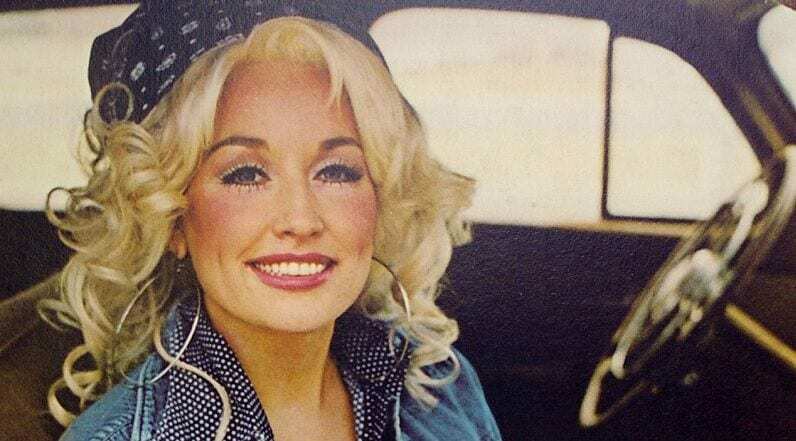 While Jolene’s mother might have expected Dolly to welcome her daughter with open arms, that was just not something the country star felt she could do. Dolly wasn’t even able to take the child in for more than an evening as she knew her lifestyle meant the child would not have the proper care it needed in her home. 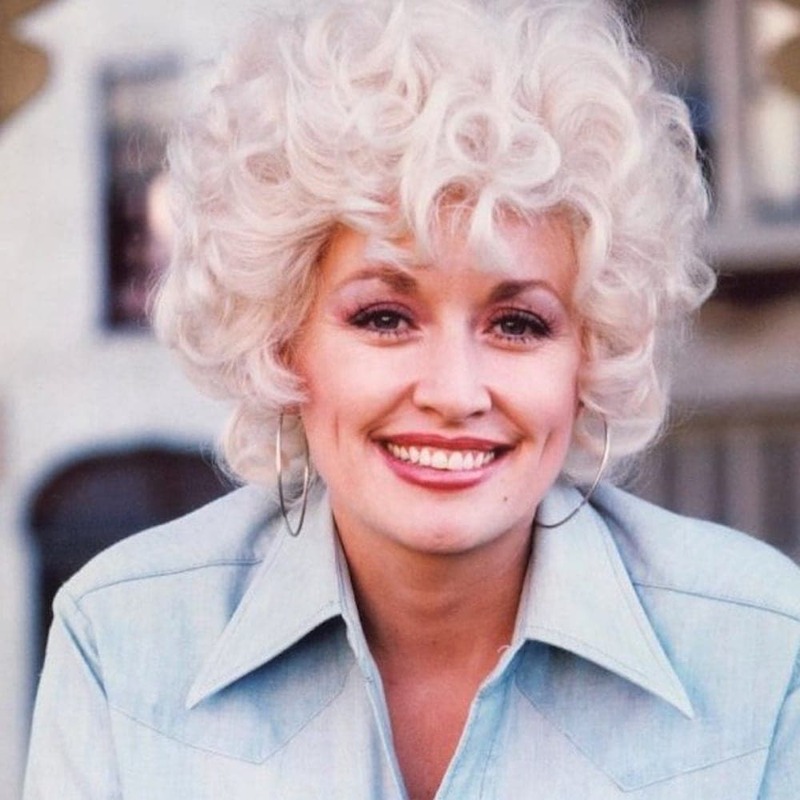 While it’s becoming more popular for couples to choose not to have children, many might have expected Dolly to have had some. Having children isn’t for everyone, and while she might have enjoyed having one running around her house, Dolly knew it wasn’t meant to be. Dolly believes it was never in the stars for her to have a child of her own, noting that “God has a plan for everything.” While she hasn’t any children of her own, that hasn’t stopped her caring for others through music and charity. Dolly might not have her own kids, but that doesn’t stop children being drawn to her. With her large hair and beaming smile, Dolly often finds children intrigued by her, something she believes is down to her high-pitched voice. Dolly believes her voice makes her seem like a fun cartoon character which is something children can relate to. 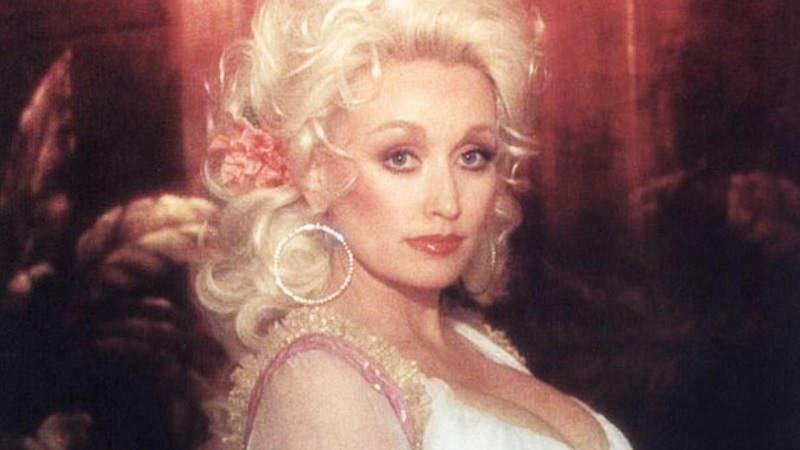 Perhaps they can tell just by taking one look at her that Dolly Parton has a good heart. Dolly made sure she stayed in school until she graduated, despite the fact the music industry was calling to her from a very young age. She placed an importance on education, and to this day she believes children should be encouraged to learn. Due to this belief, she has set up her own charity, the Imagination Library. She loved to read as a kid and doesn’t want children growing up without books in their lives. The Imagination Library has helped over a million children so far by providing free books to children in the United States, Australia, Canada, and the United Kingdom. They rely on donations from generous people to help keep children reading, and the initiative is aimed at kids ranging from 0 to 5 years old. Thanks to Imagination Library, children who would otherwise not have access are now able to read and learn before they get to school. Dolly has 10 siblings, so is used to being surrounded by plenty of family. Due to that close bond with her brothers and sisters, she is really close to all of her nieces and nephews. Dolly has claimed that she is inspired by these children to make some of her music. The songs “Brave Little Soldier” and “Chemo Hero” were included in her children’s album and were written through personal experience. The songs were written for Hannah Dennison, her niece who had been diagnosed with leukemia when she was four. The whole family was going through a tough time following Hannah’s diagnoses, and Dolly found writing the children’s album helpful. Connecting with a younger generation was helpful to Dolly as it made her feel young once again and that feeling helped her take on the world. The experience of writing a children’s album made Dolly feel “rejuvenated,” and it helped put the fun back into her creative process. Connecting with children came easily to Dolly, which is helpful as there are a lot of them in her life. Dolly built up quite the reputation for herself within her family for being friendly with children. Her nieces and nephews all knew they could go to their auntie Dolly for anything and now that they are old enough to have children, there is a fresh batch of children in Dolly’s life. 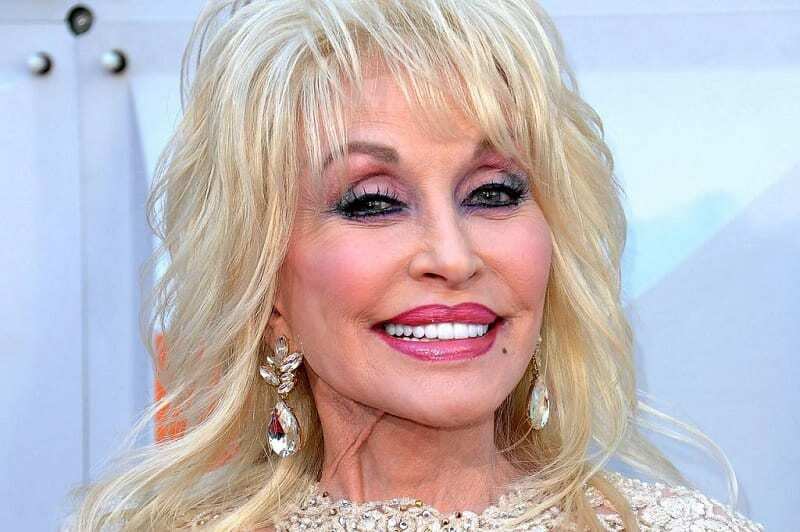 Thanks to the bond she shares with her younger relatives, Dolly has been given some adorable nicknames. These pet names include “Aunt Granny,” which her nieces and nephews call her, and “Gee Gee,” which her great-nieces and great-nephews call her. Although Dolly might have loved to take that baby on her doorstep into her home forever, she knew it wasn’t the right thing to do. Dolly has had an incredibly busy life, and adding a child of her own into the mix was going to be too much. 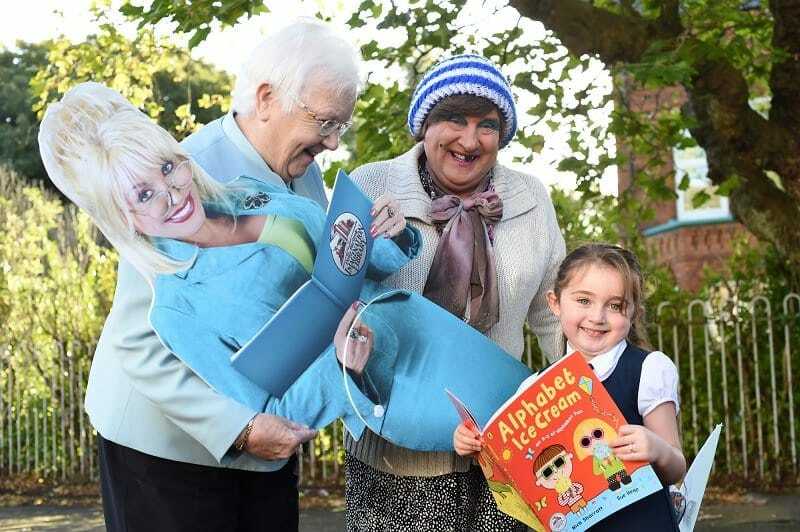 She made sure little Jolene was looked after by calling the authorities and now also makes sure many other children are looked after thanks to the Imagination Library. 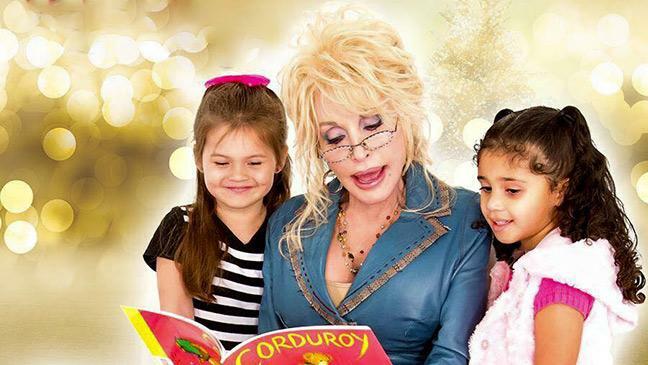 This effort to improve the lives of children truly makes Dolly Parton a remarkable woman.